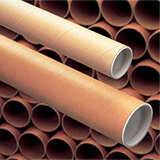 Our brown cardboard light duty postal tubes provide strong, economical protection when mailing or storing rolled documents such as posters, maps and charts. 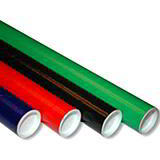 Available in sizes from 330 to 787mm long, making them suitable for documents up to B1 size. 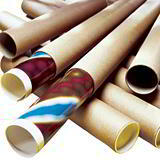 All postal tubes supplied straight from stock, complete with plastic end plugs. Made from mostly recycled spiral wound cardboard tube for excellent strength and reliable performance, our tubes also provide a professional presentation and storage solution for your customer. Reusable, degradable and easily recyclable!